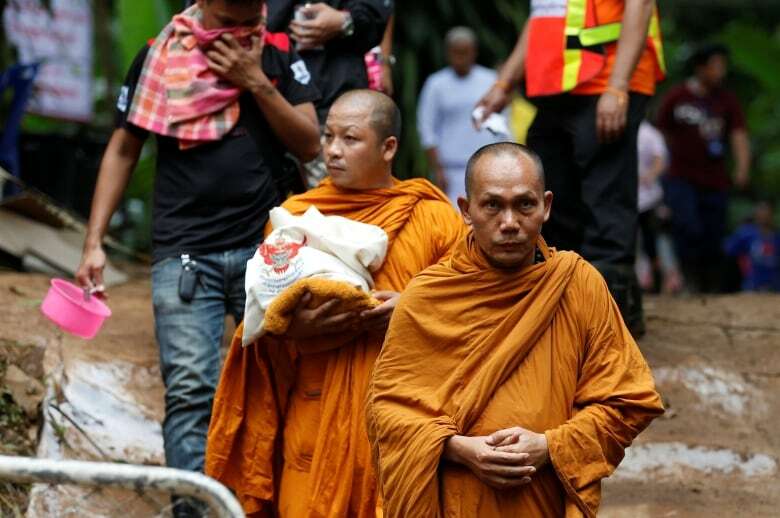 Thai authorities on Sunday said they plan to evacuate an area around a cave in northern Thailand where a dozen boys and their soccer coach have been trapped so that a 'rescue operation' can take place. "Assessing the situation now, it is necessary to evacuate the area for the rescue operation," said Mae Sai police commander Komsan Sa-ardluan over a loudspeaker. "Those unrelated to the rescue operation, please evacuate the area immediately." 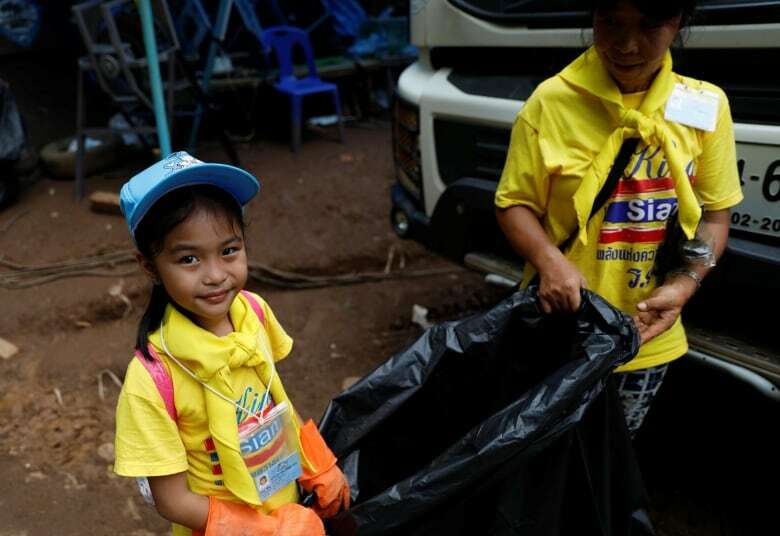 Narongsak Osottanakorn, a local provincial governor leading the effort said the "ideal time" for a rescue could come in the next two or three days. "We're still at war with water and time," he told reporters. Time is running out on a plan to teach the boys — some as young as 11 and not strong swimmers — to make a dive through dark, narrow passageways sometimes no more than 60 centimetres wide, that have challenged some of the world's leading cave divers. 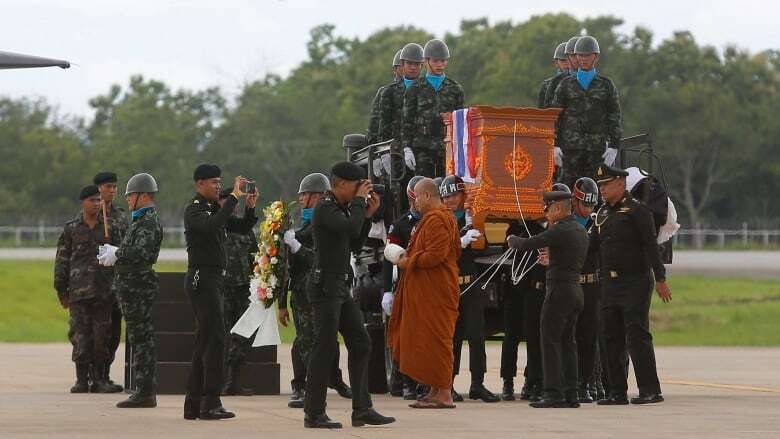 A former member of Thailand's elite navy SEAL unit died during a dive on Thursday night, a grim turn in what began two weeks ago as an outing to celebrate the birthday of one of the boys. Up on the hill, where rescuers are seeking alternative routes down into the cave, another accident occurred when a vehicle skidded off a dirt track, seriously injuring several people, authorities said. 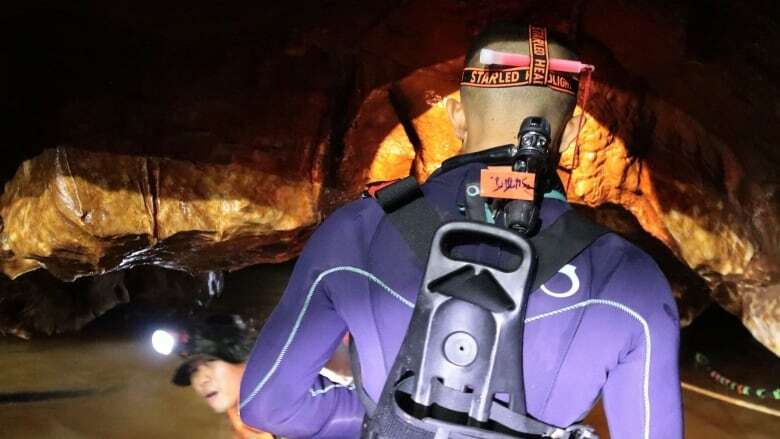 Earlier at the sprawling cave mouth, lines of divers and soldiers with flashlights could be seen emerging from the darkness, as generators chugged and pumped water out through plastic pipes. Dozens of Royal Thai Army soldiers were seen resting on rocks outside the cave. Billionaire entrepreneur Elon Musk tweeted that a team from his rocket company SpaceX in Los Angeles is building a mini-sub to help with the rescue. "Got more great feedback from Thailand. Primary path is basically a tiny, kid-size submarine ... Light enough to be carried by 2 divers, small enough to get through narrow gaps. Extremely robust," Musk tweeted, adding that it would take eight hours to construct and 17 hours to transport to Thailand. 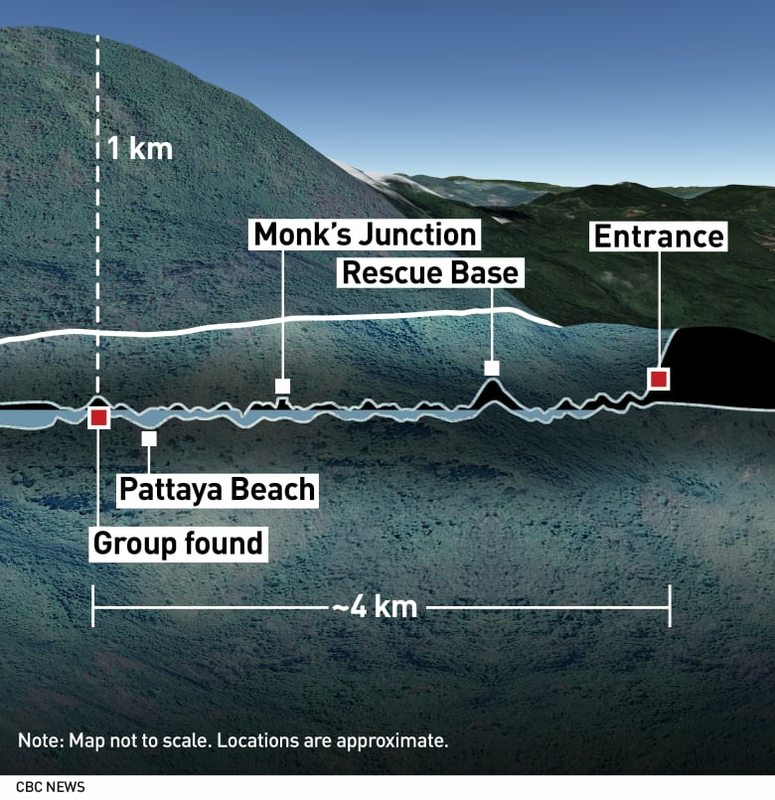 The Thai defence ministry said a team from a Musk firm with drilling and exploration know-how should reach the cave on Sunday. One of the most touching notes came from a boy whose name was not clear: "I'm doing fine, but the air is a little cold, but don't worry. Although, don't forget to set up my birthday party." Their 25-year-old coach said: "To the parents of all the kids, right now the kids are all fine, the crew are taking good care. I promise I will care for the kids as best as possible. I want to say thanks for all the support and I want to apologize to the parents." An update Saturday from the Thai navy said three navy SEALs were with the boys and their coach, one a doctor. The 13 are having health evaluations and rehabilitation, and are being taught diving skills. Food, electrolyte drinks, drinking water, medicine and compressed air canisters have been delivered to them. A major concern of the rescuers is that oxygen levels in their safe space could fall dangerously low. 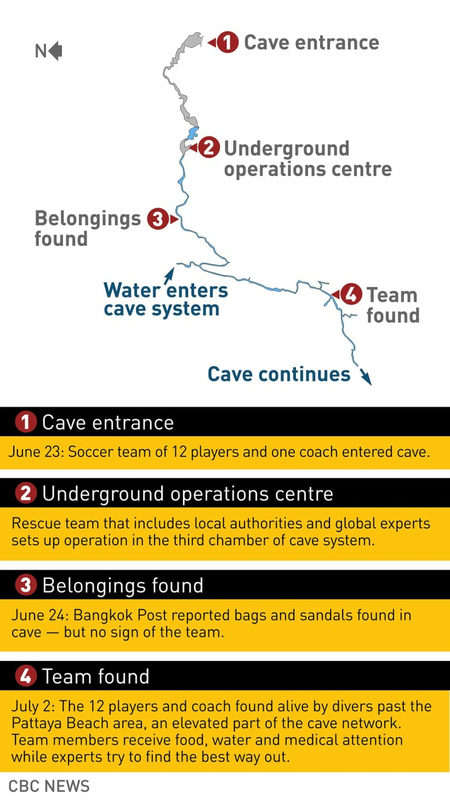 Rescuers have also been pursuing other options to extract the boys, hoping that finding a shaft or drilling into the mountain in which the cave is located will lead them to a sort of backdoor entrance.